It’s a horrifying story with a lot of pain involved. Viktor Frankl, the author, describes in the book his time spent in captivity between 1942 and 1945 inside the Nazi death camps. Based on his own experience and on the experiences of his cellmates – who he later threats in his practice – Frankl argues that we cannot avoid suffering in life but we can choose how to cope with it, find meaning in it, and move forward with renewed purpose. Understand, with every cell in your brain and with every tissue in your body, that living, in essence, involves a lot of suffering. Sometimes the pain is short but agonizing, other times is bearable but continuous. Trying to avoid pain in life at all costs it’s a fantasy, it’s even childish to desire it because it’s impossible to achieve. No matter what type of dreadful moments come into our lives, the way we handle them is of a great importance. For a 24 hours period, we can experience a mixture of feelings: anxiety, joy, sadness, anger, affection, boredom, etc. These mental conditions either help us, or prevent us from achieving what we wanted in a particular situation. The modern society is trying to persuade us that we should constantly feel joy, but the reality is different and we shouldn’t settle with what advertisers are selling. If you’re attacked by a dog on the street, or a car is heading your way, or let’s say a fellow student wants to hit you because you’ve sent a text message to his girlfriend – you’ll surely don’t want to feel pleasure or happiness. You’ll want to feel anger, panic, anxious. This way you can defend yourself and avoid fatal ending. I mean, there is a good reason we have a portfolio of feelings which don’t only include joy. Life is about understanding what you really want from it. What kind of work you want to do. And once you find your true calling, to accept the suffering coming along with it. Trust me, there’s always suffering involved. Don’t aim at success. The more you aim at it and make it a target, the more you are going to miss it. Fame shouldn’t be pursued blindly. It’s something that will emerge from our actions. If success for you means having 1 million dollars at your disposal, what will happen if, let’s say within a year, you reach this goal? By the current social standards, you will be a millionaire, that’s for sure. You will also feel quite satisfied with your achievement. Again, something pretty normal. But what will happen afterward? If you pursue merely the money, you’ll feel even worse when you achieve your goal. In the end, you might have one million dollars, yes, but you might have a job which you’ll probably hate. The other scenario is this: We take some time to understand what kind of tasks truly motivate and inspire us. We devote our lives towards executing these tasks. Finally, we become an expert in the field we’ve chosen, have a meaningful life and if our job was good enough, we’ll most probably earn more than a million bucks. The way you look, on the outside, will influence the way you feel on the inside. That actually goes both ways. If you feel OK, this will reflect on your face, posture, smile and even inside your eyes. Taking care of yourself on the outside is really important if you want to boost your confidence. If you’re wearing old, ragged clothes, if you smell funny and your hair looks like the old hairstyle of the famous pop singer, the Weekend, then, don’t blame others for speaking crap behind your back or for avoiding you. “Dress to impress” is an exaggerated statement but I think you got the idea. Same goes for the food you eat, the people you hang out with, the music you listen. Everything you consume influences your body and soul. If you’re wondering why every month you’re sick and have to lay down for a couple of days, maybe there is something you are doing wrong. Probably it’s because you eat a sandwich per meal, or because you smoke too much. I don’t know, but I am sure you don’t need a doctor to tell you this. You already know. “Another day has passed” – if these words are coming out of your mouth every time the clock on the wall strikes 5 PM, or other, depending on when your work day is over, then, you must find something else. Obviously, this job isn’t bringing any satisfaction in your life. If our daily thoughts and actions are towards the end of the day, we are not living at all. Life is not about what will happen in the next few hours, days, or even years. It’s what happens now, in this present moment. We must learn to live for the moment and enjoy what happens to us right now. Time flies, and if we don’t like the way it passes, we should do something about it, now, not in a few years time. If you think about it for a moment, you will figure it out on your own, there is nothing greater than love and affection. That’s why there are so many songs, poems, movies, books for and about love. Human salvation will happen only through love towards others. In the current times, we think more about ourselves. We’ve become very selfish and distant creatures with little care about others. We hide behind computer screens and smartphones. Savagely commenting others online, walking around with headphones, afraid to share our emotions face to face. We first want to feel love in order to give love. But that’s not how things work. In order to receive, you must give first. Revealing your feelings towards others first may seem like a social suicide, yet, this is the right thing to do. In this busy world, where chatting is becoming the mainstream of communication, showing love, acting with care towards others will open a lot of doors. Love, is the highest goal that one can aspire to. Inner strength: It’s easier said than done but the only thing you fully control is how you handle what life throws at you. People can take away your freedom – like, put you in jail – but not your feelings and the way you perceive things. You can feel imprisoned even if you’re not in jail. So, don’t let external events control you, focus on strengthening your internal reality. We can get used to anything: Viktor Frankl survived in severe circumstances. With a fraction of the food, sleep, vitamins, the average people take on a daily basis. Living a spoiled life is a privilege and actually quite achievable. Nevertheless, it might be a good idea to avoid getting too comfortable with the “good life”. This will make you a more grounded person. Someone who will remain calm in crisis situations. The importance of meaning: If you don’t have any ambition you’re living like a deprived of any future. Like a float in the see that only swings front and back, depending on the waves. Everything you do will feel agonizing. By finding something meaningful to do, though, you’ll float above the daily trivial tasks and survive even the most dreadful moments. It’s hard to imagine how such a small book can offer so much to the reader. For me, the book is a composition of two things. First, the harsh story of the people held in the concentration camps – what was their daily life like, what were their thoughts, pains, and joys. Secondly, the author’s thoughts about meaning: his own and also for the rest of the prisoners. The whole story is masterfully described. You can really feel the coldness and imagine the horrible things the prisoners have experienced during all these years held in captivity. Even in despair, they’ve found something to keep them alive and give them a sense of purpose. 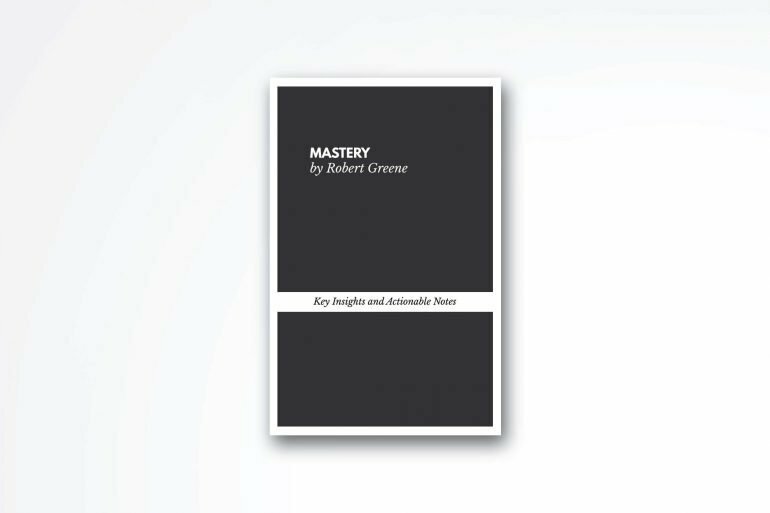 That’s the most important takeaway from the book: A higher purpose that will guide you no matter the circumstances. 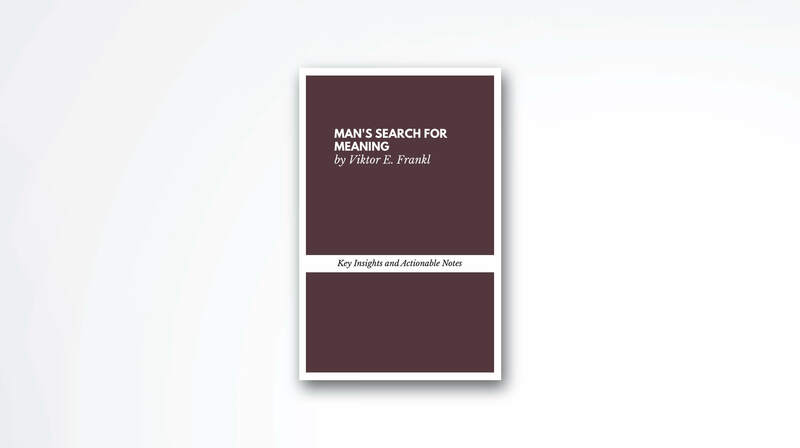 I’ve read something today: Book Summary of Man’s Search for Meaning by Viktor Frankl. What did you do online?